We shouldn't call this a color by number, we should call it a color by sum! 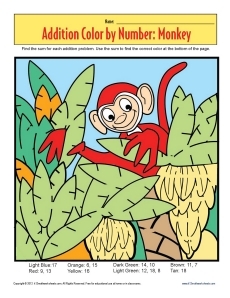 Every area of this cute monkey has an addition problem to solve. The sum will tell your student which color to use in the space. Your student can have fun while practicing her math.